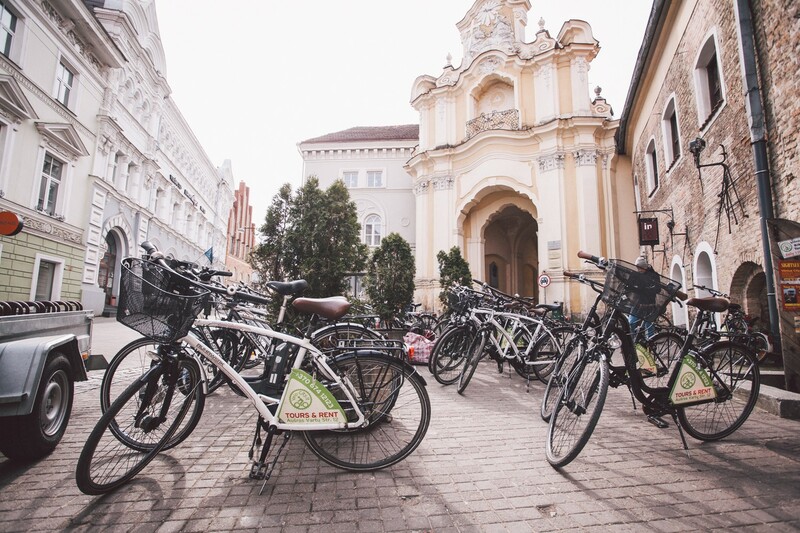 The tour “All Sides of Vilnius” shows you the many faces of Vilnius, taking you through the historical Old Town, a modern business sector, a rural neighbourhood of little wooden houses, and a Soviet-era neighbourhood. A tour by bicycle is one of the best ways possible to get to know a new city. By bicycle, you can travel a lot farther than on foot, but you still experience everything up close, in a way that you wouldn’t by bus. This medley of different time-periods and architectural styles creates a picture of a city which is unusual, unexpected, and unforgettable. 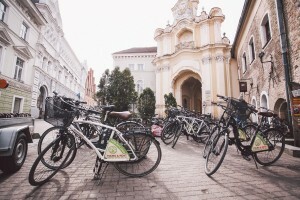 This city tour shows not only the beautiful old town that is enjoyed by so many tourists, but also the everyday Vilnius, with a unique local perspective. See Vilnius as it really is – with its joys and worries, its grandeur and mundane routine, its modernity and parochialism. For the visitor to Vilnius, this is the perfect opportunity taste the city’s vivacity, feel the rhythm of Vilnius life and feel like a local, while at the same time, learning about the city’s history, legends, language, and culture. For more information and for bookings please contact us by e-mail or call +370 5 2125 803.